The Wedding Guest, the latest offering from Michael Winterbottom, is to premiere at Toronto this year in the Special Presentations section of the festival. Starring Dev Patel and Radhika Apte, The Wedding Guest begins with tantalizing intrigue. A mysterious figure (Patel) departs England for Pakistan. In one locale he rents a car, in another he purchases weapons. He soon arrives at his destination, where a young woman (Apte) is about to be wed. Unfolding in trains, cars, restaurants, and hotels, in backroom black markets and backpacker beach resorts, The Wedding Guest is a perfect example of Winterbottom’s ceaseless curiosity. Nothing escapes his gaze. This briskly paced thriller rarely stops to breathe, while Patel and Apte each work in their own way to reveal as little as possible while finding themselves helplessly drawn to each other. Based on the 1977 novel by Howard Kaplan, Damascus Cover is a political thriller film directed by Daniel Zelik Berk and stars Jonathan Rhys Meyers, Olivia Thirlby and John Hurt. Set during the weeks after the end of the Cold War in 1989, Meyers plays an undercover Mossad agent haunted by the death of his son. His mission is to extract a chemical weapons scientist out of Syria, however within days it backfires and in order to survive he has no other choice but to reach out to The Angel, a deep cover agent. He soon unveils a much darker plan. Damascus Cover was released last week with previews on 1st August and the official release on 3rd August. Journeyman tells the story of middleweight boxing champion Matty Burton. As he approaches the end of his career he knows that he must make his money and get out of the game, to secure a home and future with his wife and baby daughter. After a titanic fight with the brash and controversial Andre Bryte, Matty collapses on his living room floor, a delayed reaction to a devastating punch. Awaking from the coma, the real fight begins. Suffering from memory loss and with his personality altered, Matty must begin to piece his life back together as his world disintegrates. Deep State is an eight-part series currently showing on Fox. 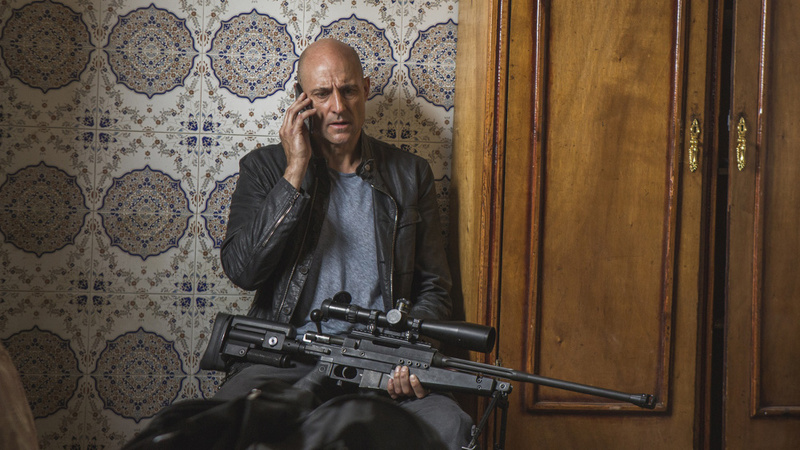 The story centers around Max Easton (Mark Strong), a retired M16 operative who is forced back into the field to avenge the death of his son (Joe Dempsie). He soon finds himself at the heart of a covert intelligence war and a conspiracy that could topple world governments. After making two highly successful short films, Alvaro Delgado-Aparicio’s debut feature, Retablo, receives its European premiere at The Berlin Film Festival. It was developed through the Sundance Feature Film Program Lab and screened at the 2017 Festival de Cine de Lima where it won the prize for Best Peruvian Film. An Acre of Land is released on February 9th 2018, via independent label Cognitive Shift Recordings. PJ Harvey is an English composer and artist, the recipient of both the 2001 and 2011 Mercury Prizes, as well as a 2013 MBE for services to music. She has contributed original music to the soundtrack for Mark Cousins’ film What’s This Film Called Love?, BBC television series Peaky Blinders starring Cillian Murphy, and BBC Radio 4 Drama productions Eurydice and Orpheus by Simon Armitage, Orpheus and Eurydice by Linda Marshall Griffiths, and Nadia Molinari’s On Kosovo Field. Theatre score collaborations with director Ian Rickson include, The Goat, or Who is Sylvia? (Theatre Royal Haymarket, London), The Nest (Young Vic, London), and Electra (Old Vic, London). 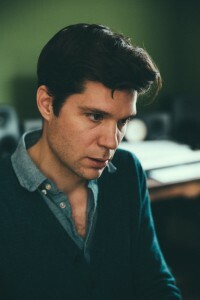 Harvey’s latest album The Hope Six Demolition Project, reached #1 in the UK charts and was nominated for a Grammy. The film premiered at the 2017 London Film Festival from October 4th to 15th, and will be on general release on February 23rd, 2018. 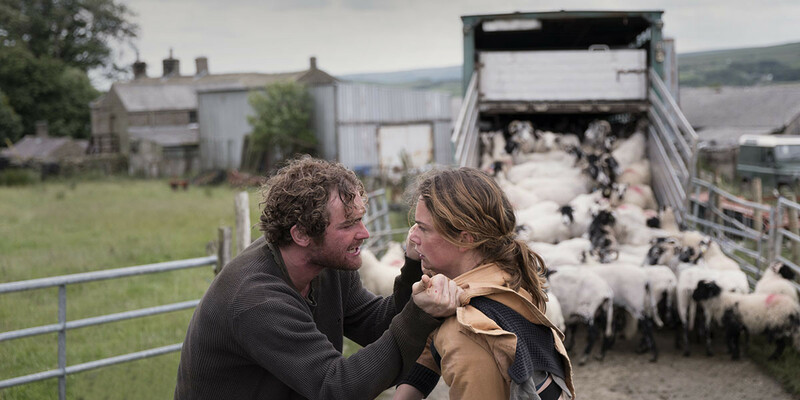 Dark River, Clio Barnard’s third feature is going to premiere at the Toronto International Film Festival this year as part of their “Platform” programme. “One of contemporary British cinema’s most distinctive filmmakers, Clio Barnard follows The Selfish Giant and The Arbor with this searing and eloquent Yorkshire set drama exploring the fragility of familial relationships. Details for Harry’s projects for 2017 covered by Film Music Reporter – read more here. This has been a busy year for Harry and he is currently in the studio finishing three feature films which will release in 2017: Damascus Cover (dir Daniel Berk ), Journeyman (dir Paddy Considine) and Dark River (dir Clio Barnard). So, if you fancy reliving a little of the emotional drama or just want to make up your own story as this chap did, it’s available in all the usual places. Everyone’s favourite rumpled Swede, Stellan Skarsgard brings his big-screen charisma to a new police drama penned by Emmy Award winner Abi Morgan. 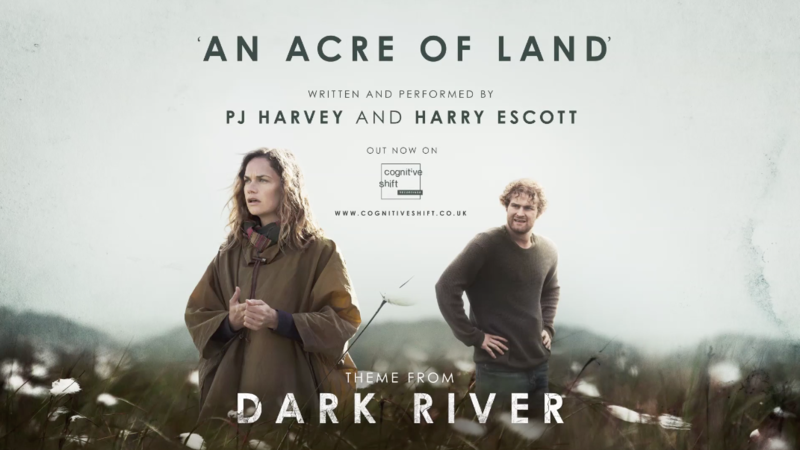 Harry’s score for River is released on Silva Screen Records Friday 13th November. Tout, Tout de Suite, a remarkable film by the acclaimed actor and director, Richard Berry, has, at long last, been completed. The film is an unflinching account of the kidnapping and torture of Ilan Halimi by the “gang des barbares” in 2006. More details about the premiere and release dates to follow shortly. A short excerpt from the score can be found below. 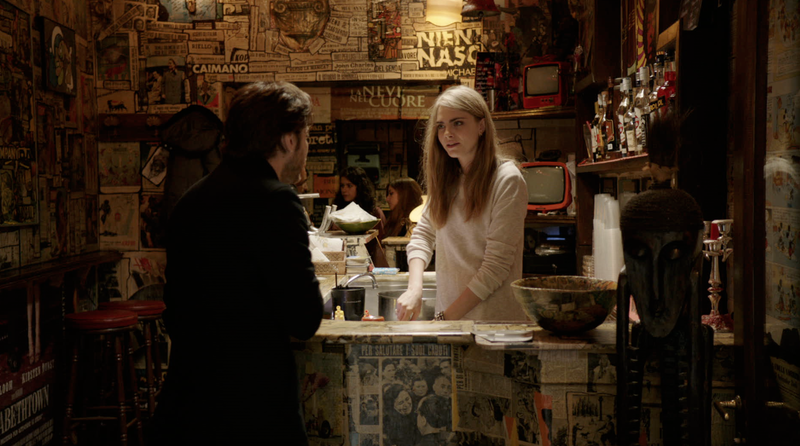 The Face of An Angel is coming to London as part of this year’s BFI London Film Festival. The Face of An Angel, the latest offering from acclaimed director Michael Winterbottom is going to premiere at the Toronto International Film Festival this year as part of their “Masters” programme. Inspired by the killing of British student Meredith Kercher in Italy, The Face of An Angel looks beyond the salacious headlines to explore both the media and the public’s obsession with violent stories, whether fictional or real. 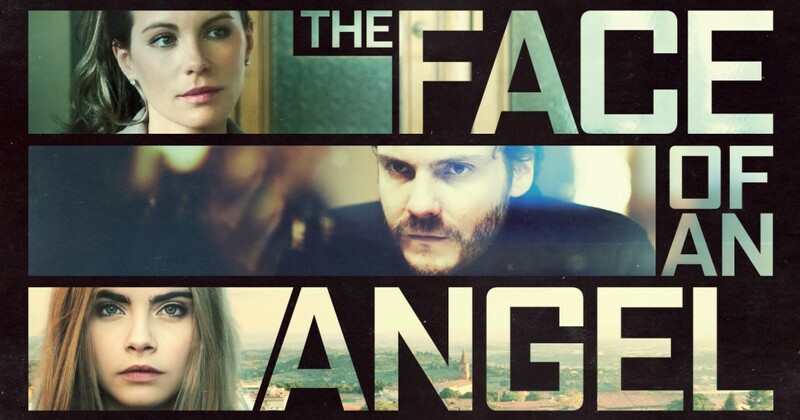 Thomas Lang (Daniel Bruhl) is a film director who is offered the chance to adapt a book by American journalist Simone Ford (Kate Beckinsale), which recounts the controversial trial of American student Jessica Fuller for the murder of her flatmate Elizabeth Pryce. To help with his research, Simone takes Thomas to Siena, where he is disturbed by the media frenzy that has developed around the case.